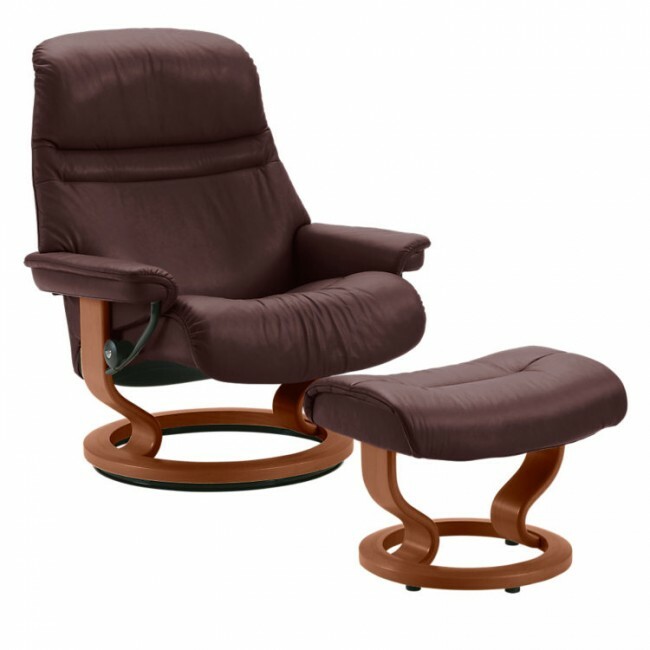 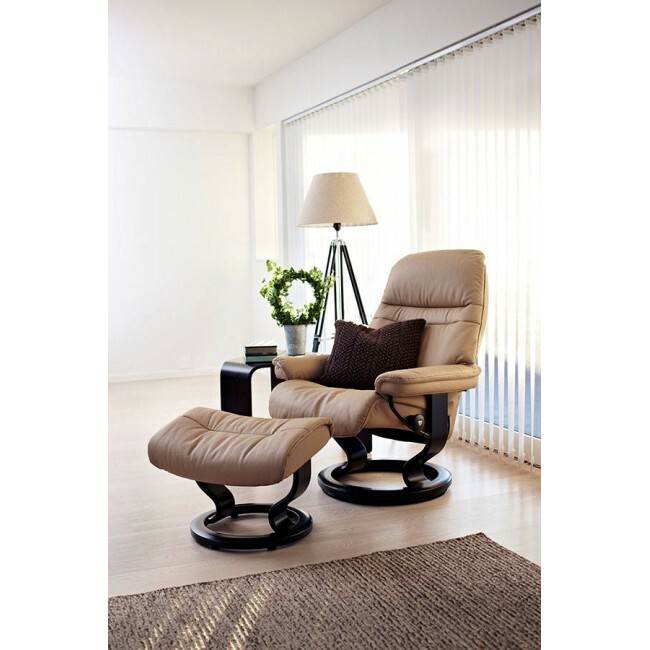 As warm and inviting as its name suggests, the Stressless Sunrise (medium) is the essence of comfort. Its design is sophisticated and cozy, responding to motion and allowing you to relax completely in any position. 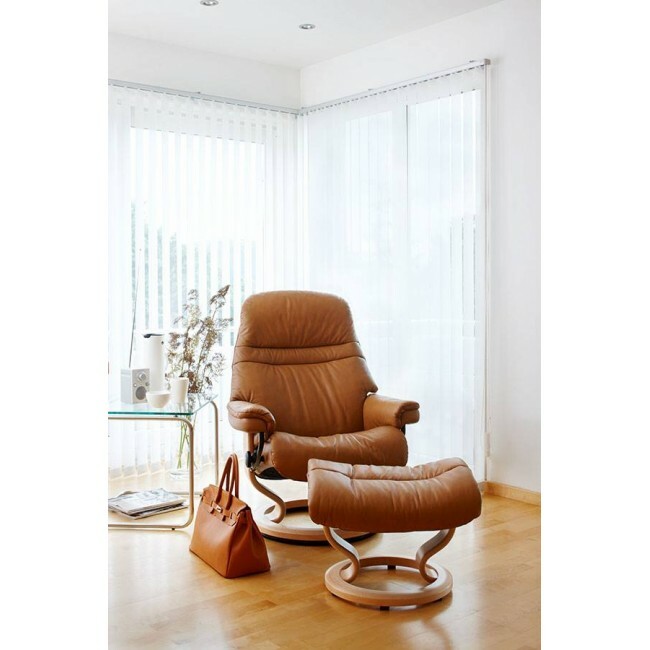 The Sunrise is available in many fabrics and leathers, as well as three different sizes, in order to suit your tastes and personal comfort best.